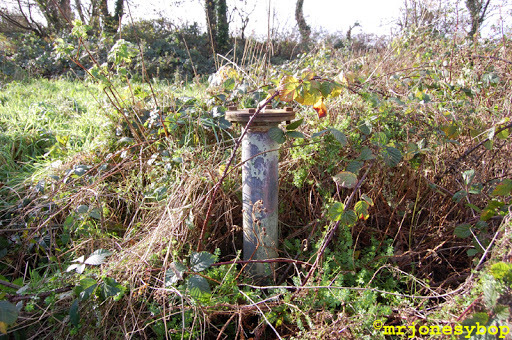 I'd heard on the Grapevine that this post had been de-capped. Alas, this is not the case. 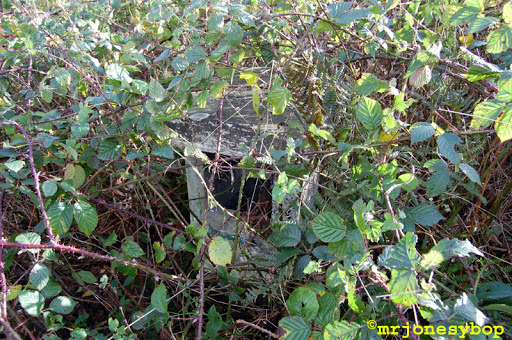 The Post is situated beside a covered reservoir, and has been subject to a good few years of abuse - thus the cap. The Louvres on the Vent-shaft are missing and there is very little green paint left on the concrete. 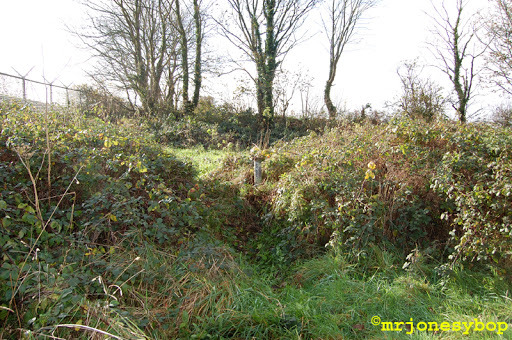 The compound gate is still in use - although overgrown, allowing access from the road. 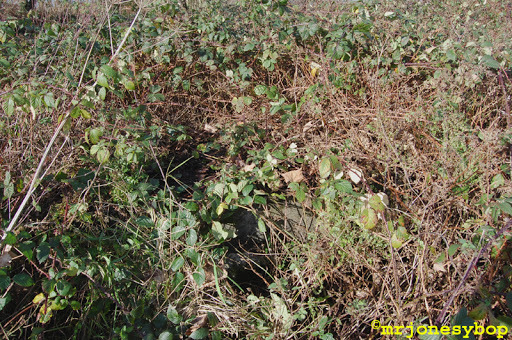 Now the site is covered with Brambles and, as the Shaft is capped, there didn't seem like much point in clearing them back to gain entry. The BPI pipe is nowhere to be found. FSM camming may be possible, but I wasn't equipped for it today - Plus, the previous reports on here show that it is now sparsely furnished and in a poor state.